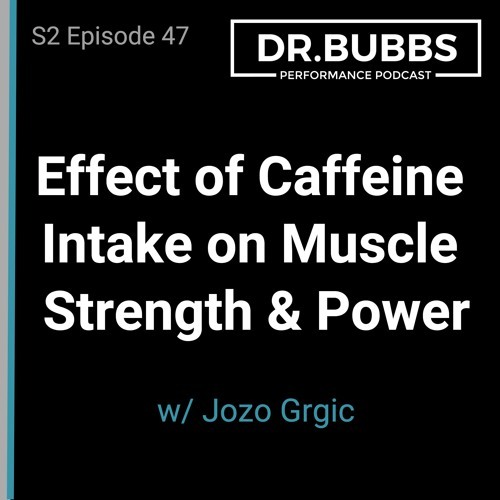 Season 2 Episode 47, Dr. Bubbs sits down with expert Jozo Grgic PhD(c) to talk about the effects of caffeine intake on resistance training. Jozo outlines the mechanisms of how caffeine may impact strength and power-based training, lower-body versus upper-body movements, as well as its effects on pain and hormone response to training. He also discusses the caffeine dose ranges, coffee versus caffeine supplements, what the research says for female athletes and the effects of caffeine gum on performance. Jozo also shares how caffeine impacts blood pressure and his thoughts on the evolution of caffeine research. Check out drbubbs.com/podcast for full show notes.